Combining function, elegance and contemporary fashion, Fusion simplifies the transition from work to work out with a series of bags which are practical but wouldn’t be out of place in the office. 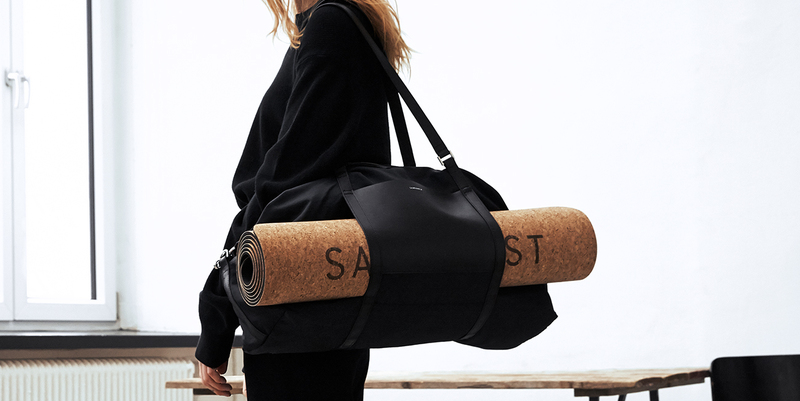 The collection comprises a tote bag, gym bag, two-way backpack, a wash bag as well as a yoga mat and cover – all larger bags also include a compartment to store your yoga mat. A key element to the collection is sustainability, with all bags made from 100% recycled nylon fabric and lined with leather details made from LWG tanneries. The yoga mat is made with a natural TPE base, a cork surface and is 100% eco-friendly, biodegradable and recyclable. The bags will be available in two colourways; black and powder with white leather detail and are the perfect union between sport and style.